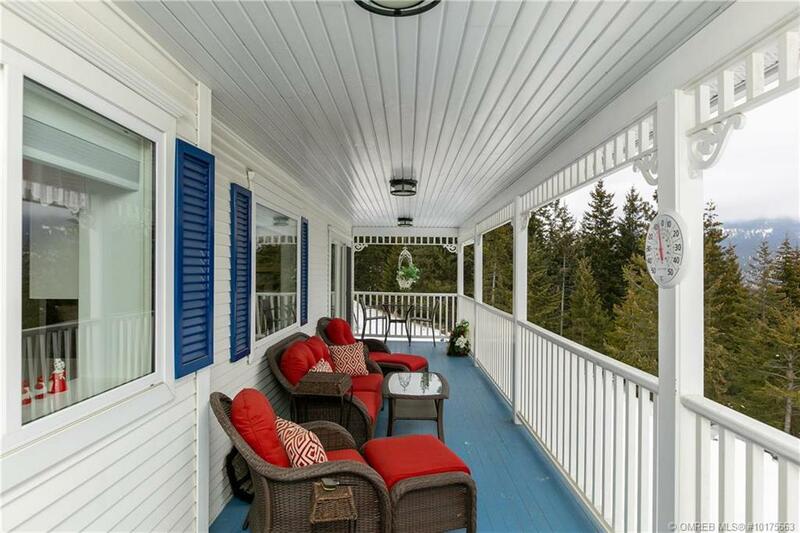 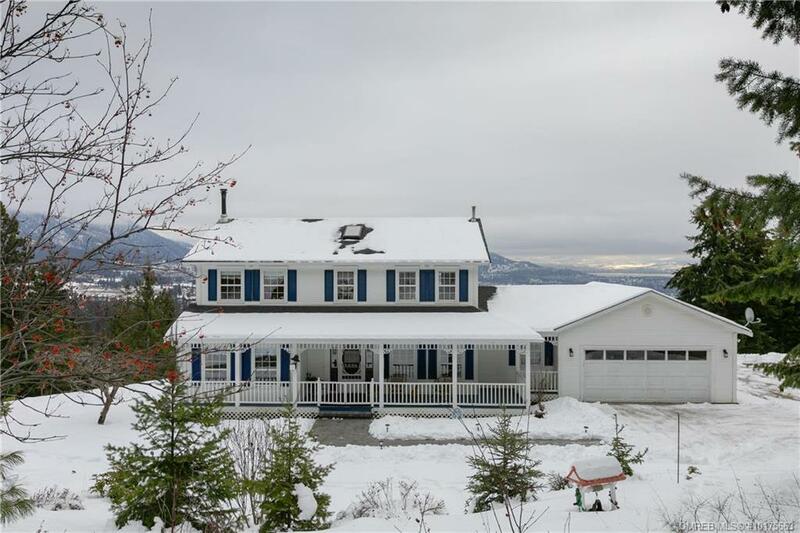 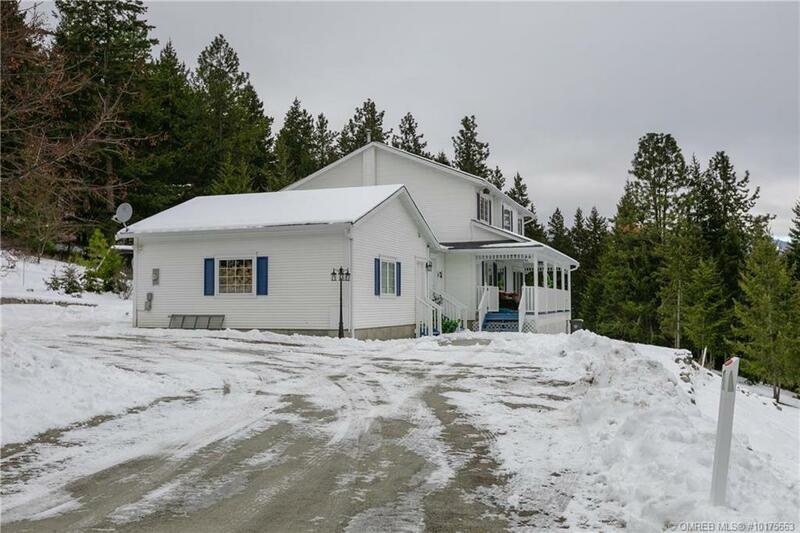 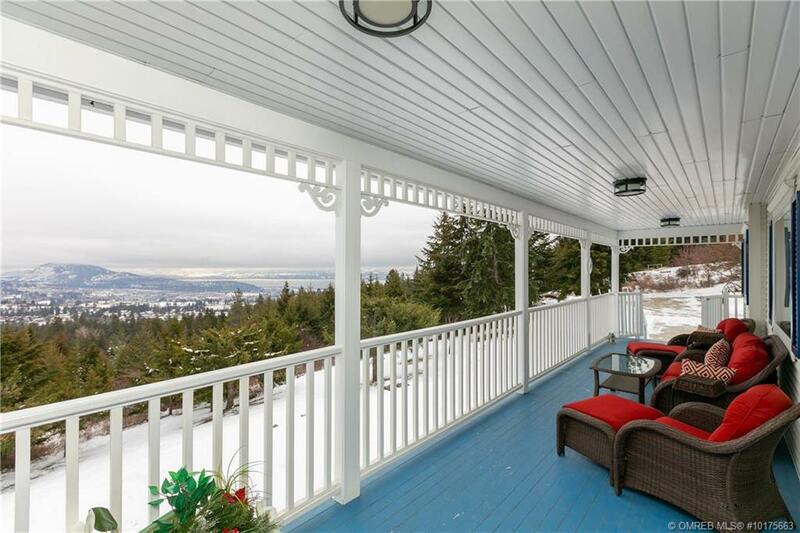 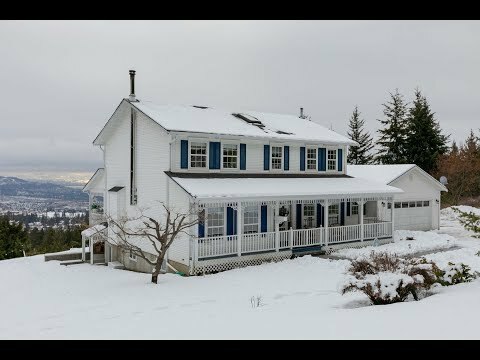 WEST KELOWNA ESTATE PROPERTY ONLY MINUTES TO TOWN – 3,446 SF single family home located on 4.45 acres in the Glenrosa area of West Kelowna. 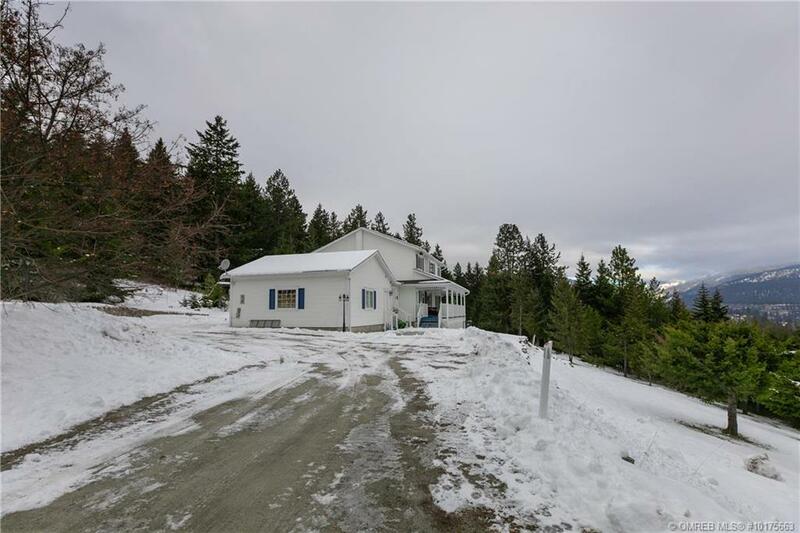 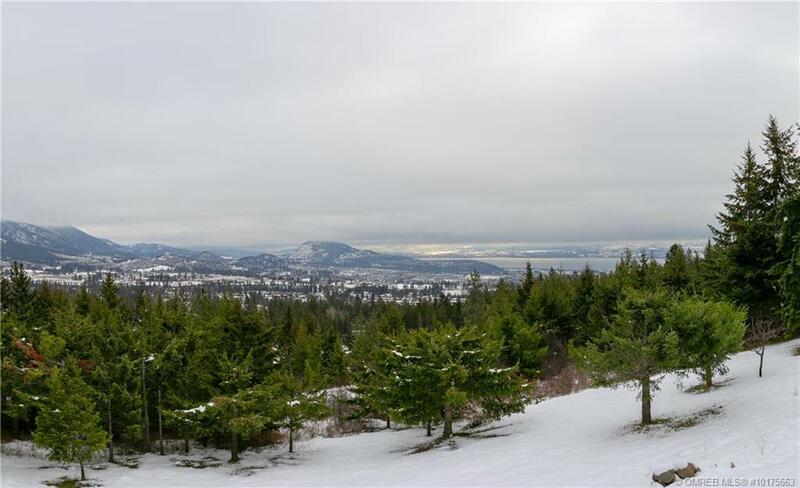 This is a stunning property with exceptional views of Okanagan Lake and the privacy that a large acreage estate affords. 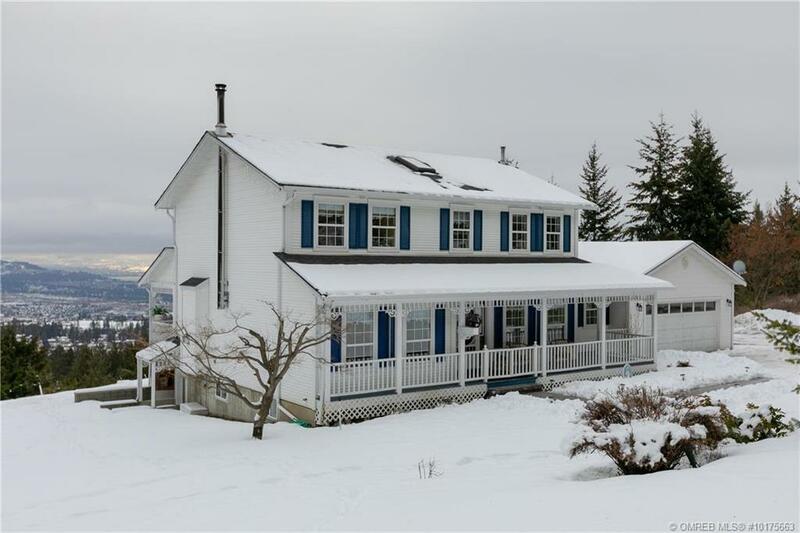 The colonial style home with 5 bedrooms and 4 bathrooms was built on the upper portion of the property maximizing the lake and city views. 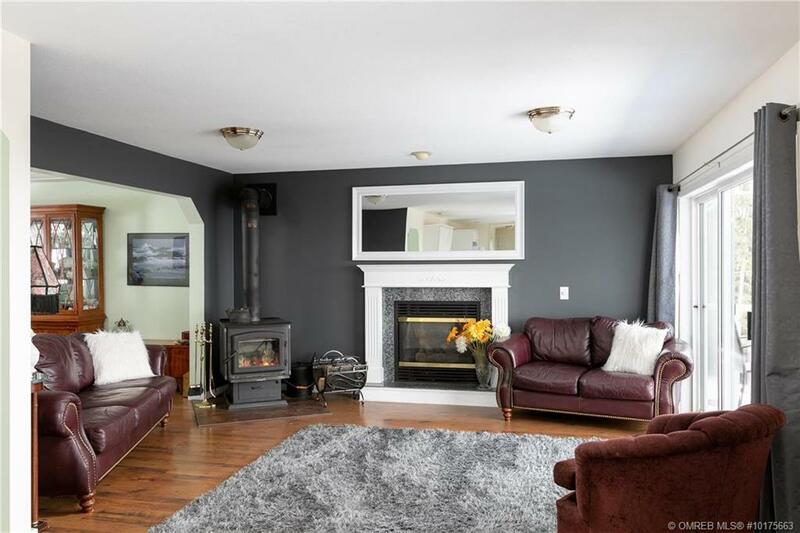 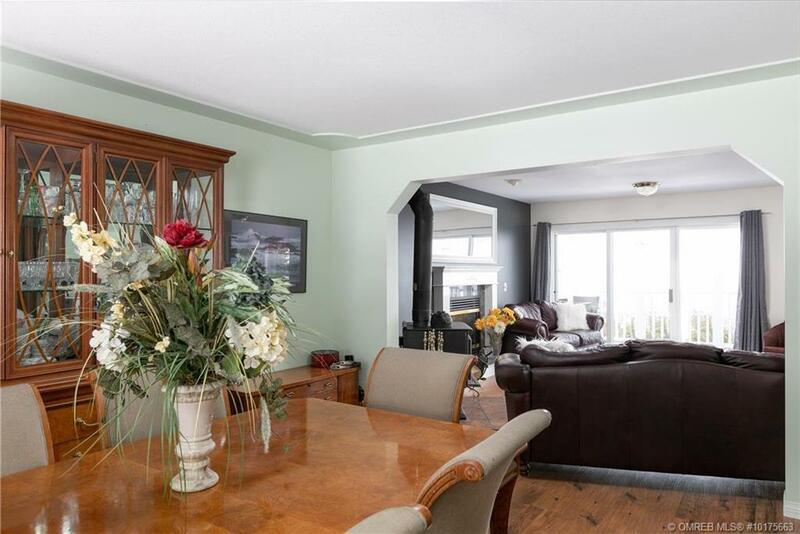 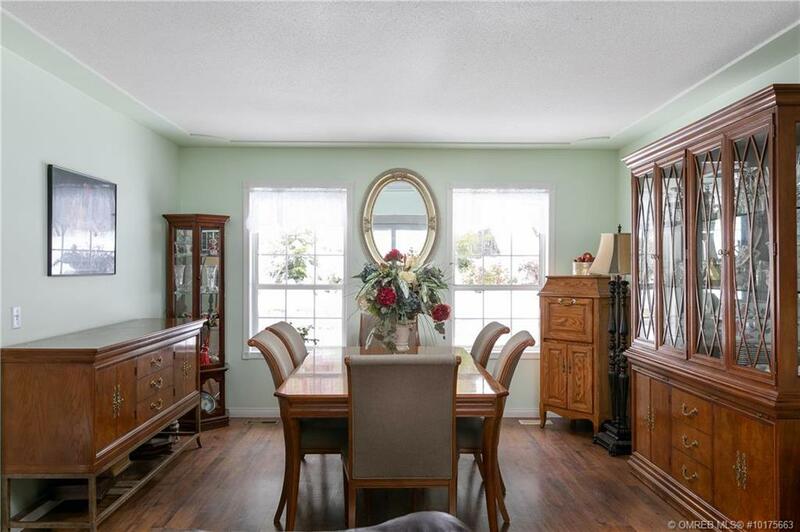 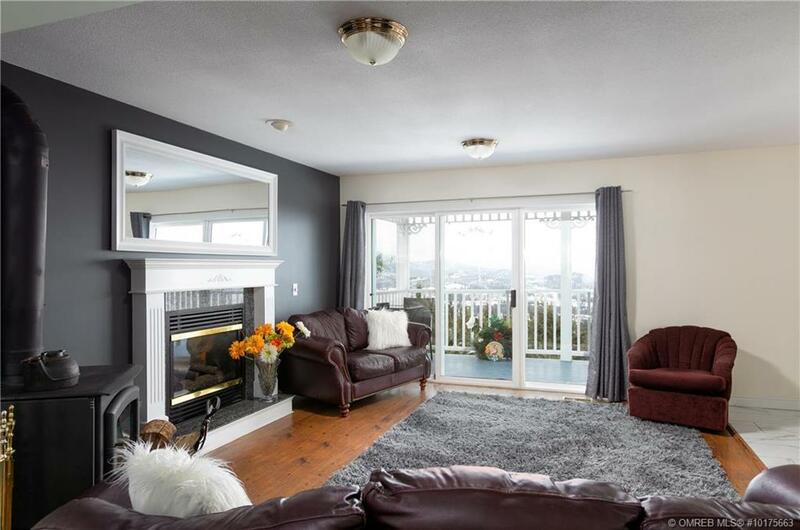 Main floor features living room, family room, dining room and kitchen with access to the large covered deck. 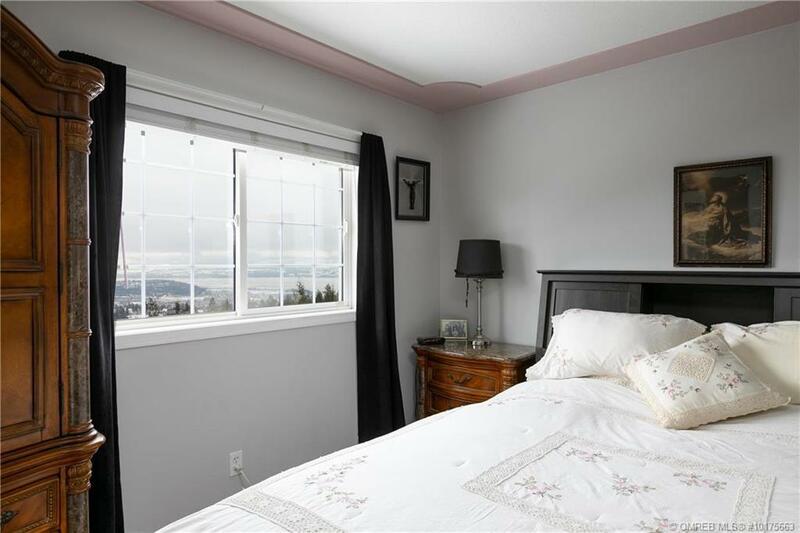 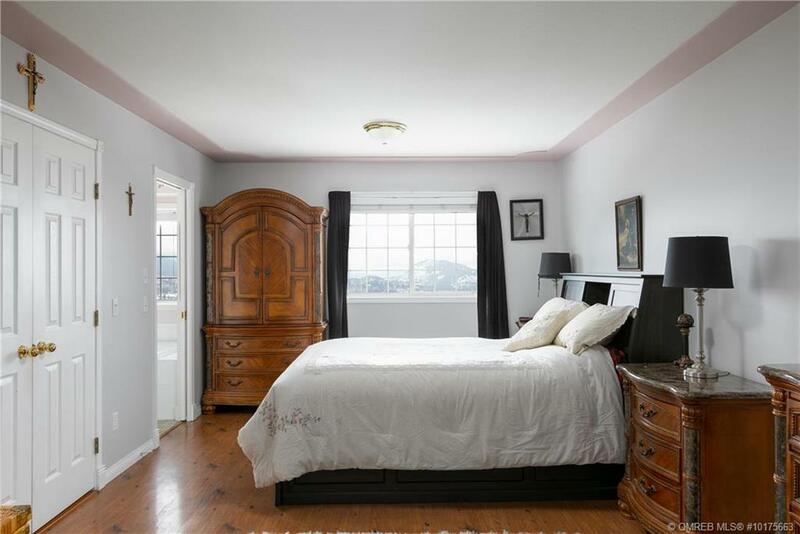 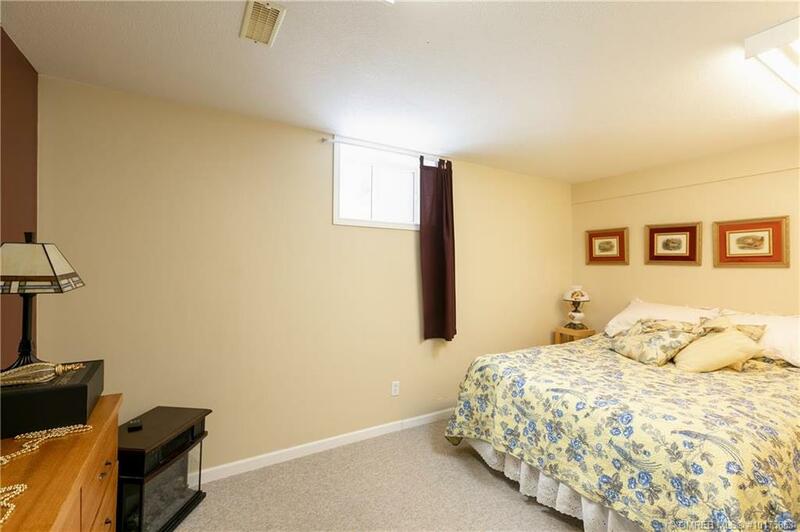 Master bedroom with full ensuite is on the upper level along with two other bedrooms and a full bathroom. 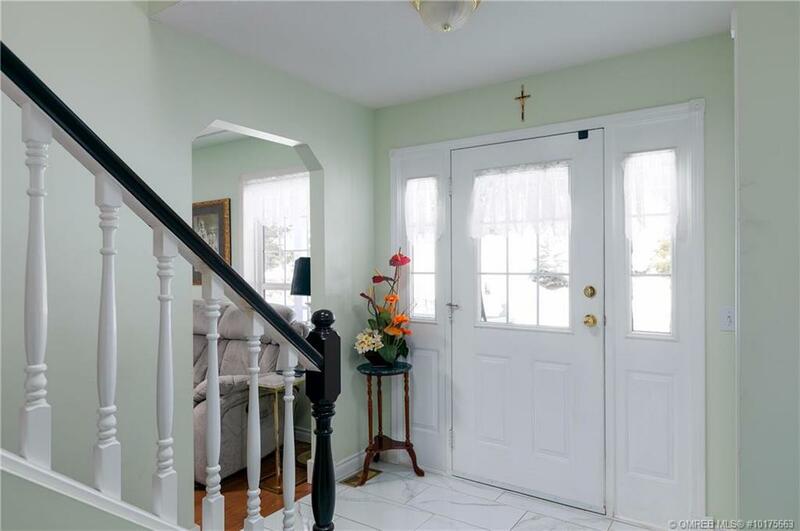 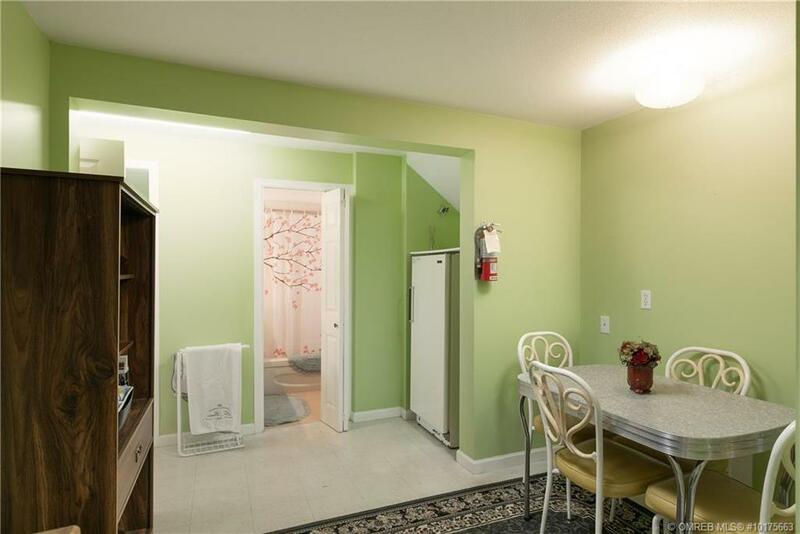 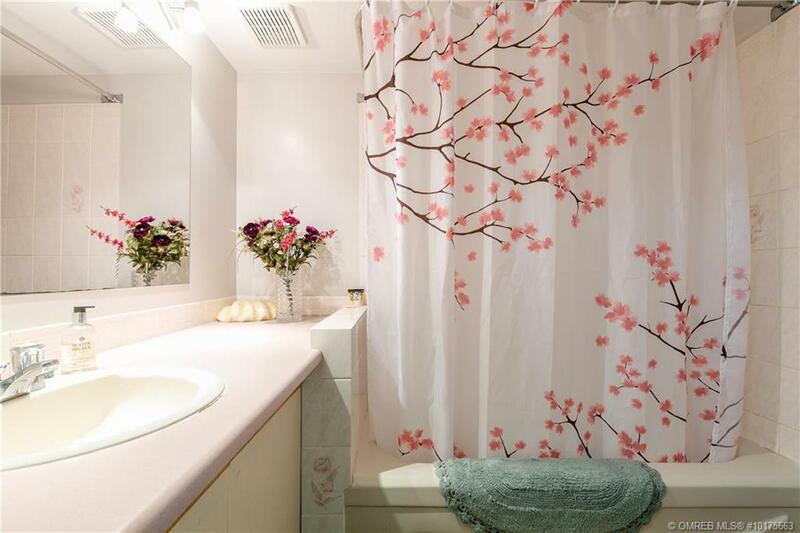 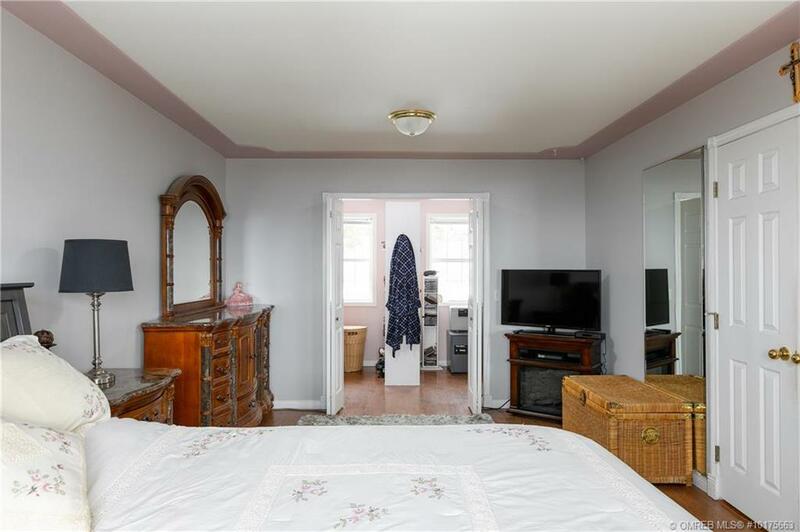 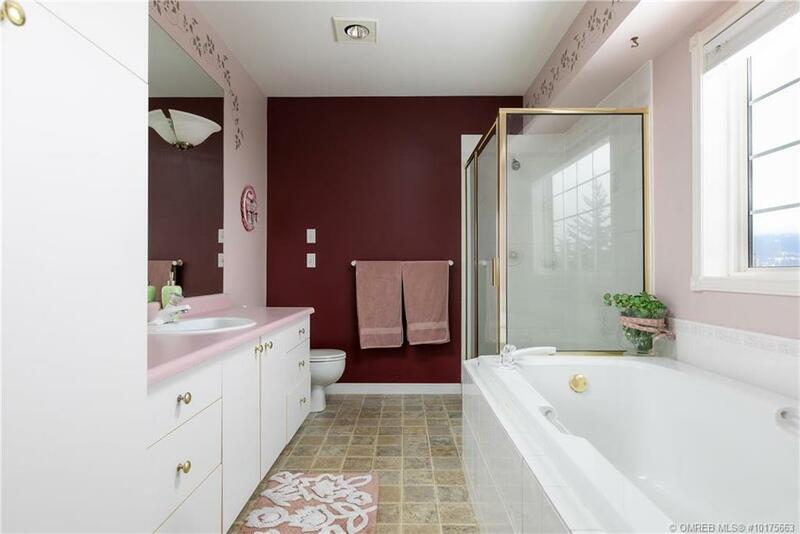 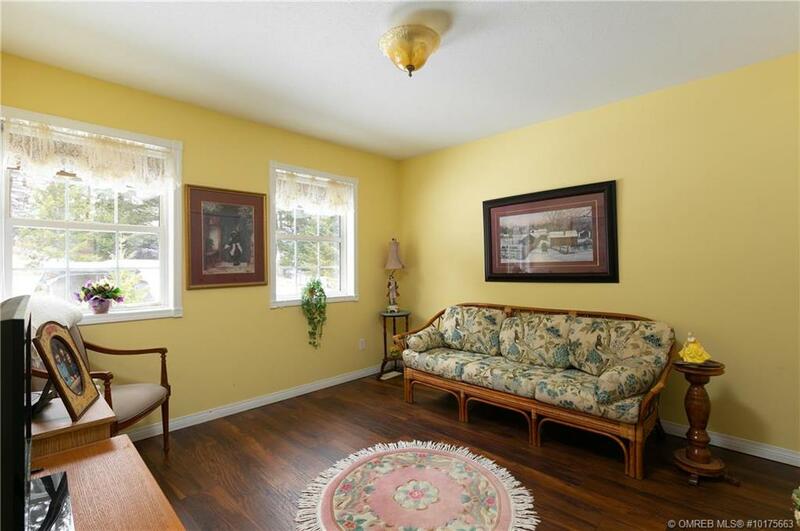 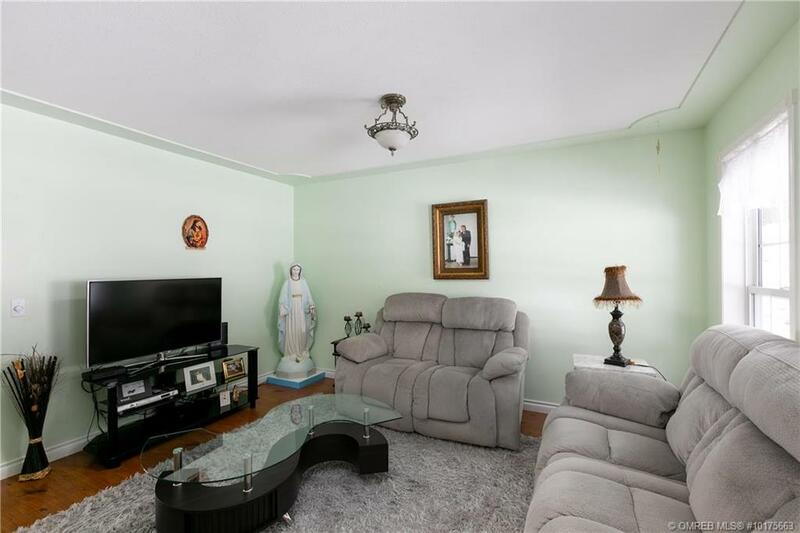 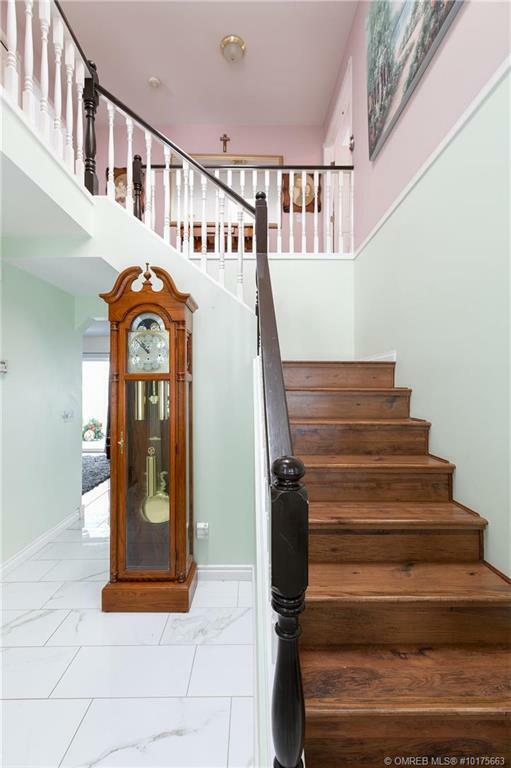 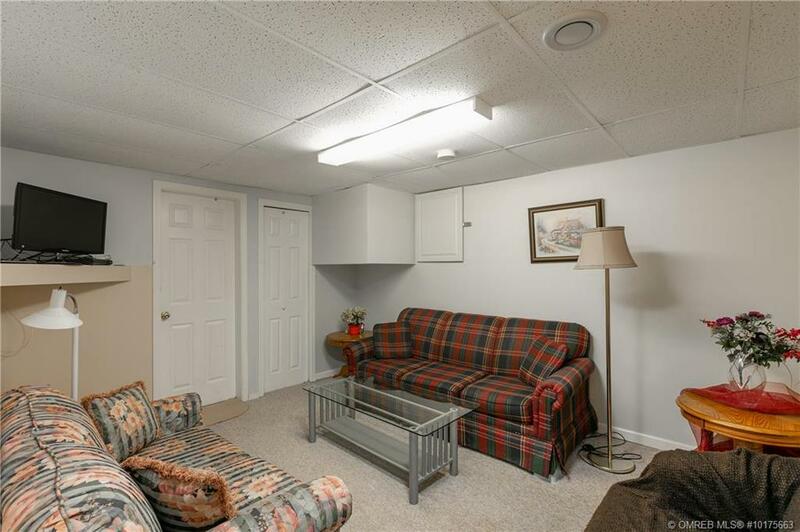 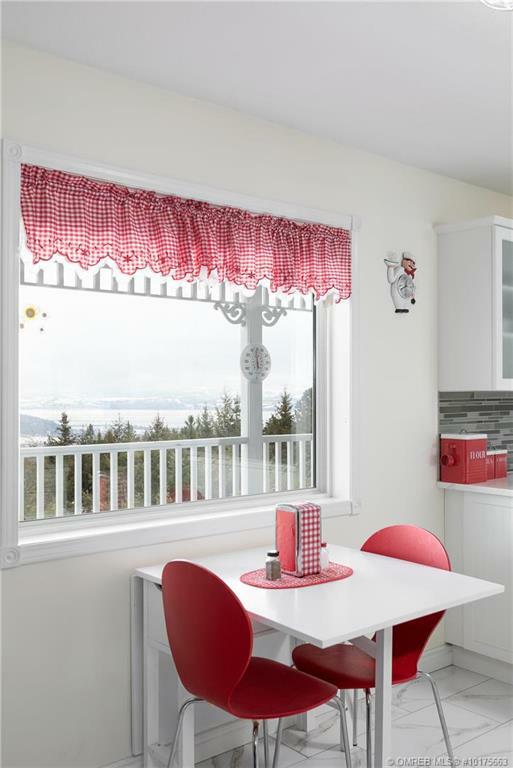 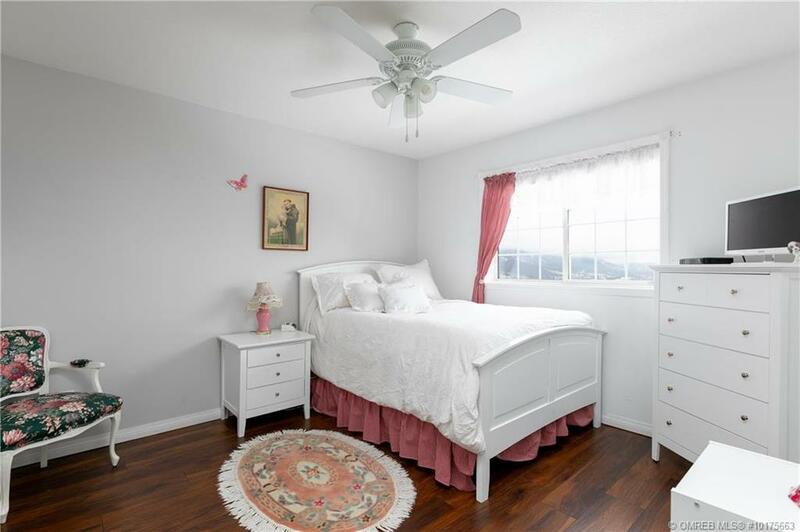 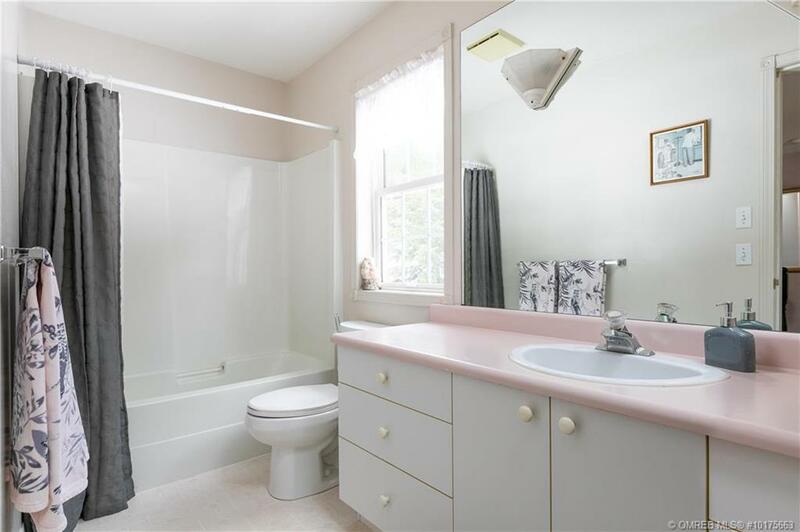 The basement has a separate entrance, 2 bedrooms, rec room, and a craft room or small den. 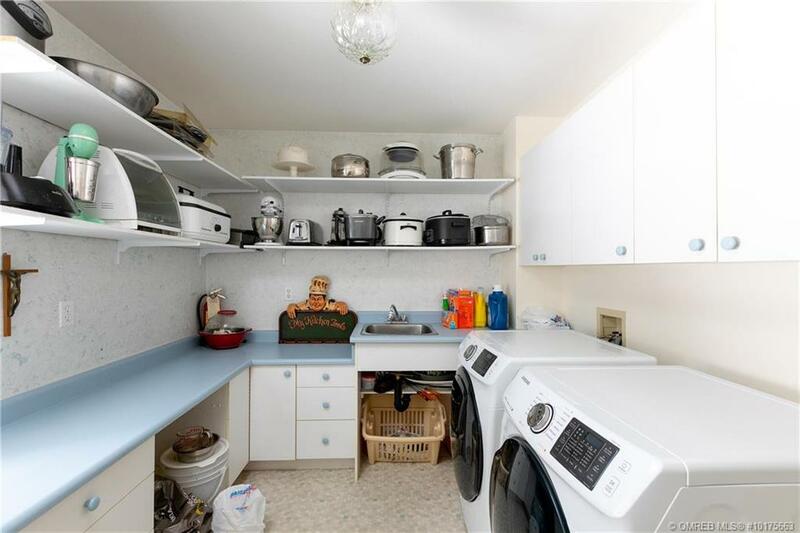 Plenty of storage and space for the entire family! 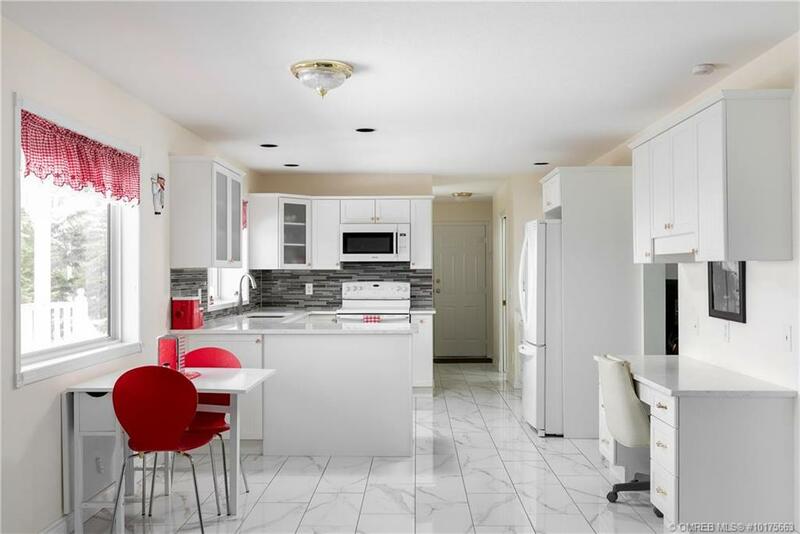 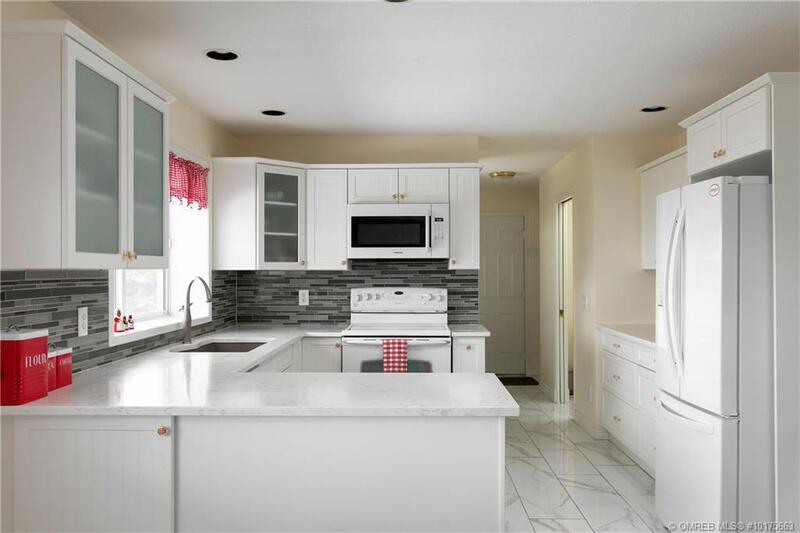 Updates include flooring, quartz countertops, backsplash and a newer fridge and dishwasher.